Centrum C-Law's Board of Directors has adopted resolution on setting up an "Expert Group 10+"
The mission of Centrum C-Law.org is to contribute to the improvement of legislation and legal practice in the areas of commercial and company law, as well as to promote standards of best practice in corporate governance with a particular emphasis on new Member States of the European Union and Short-listed Membership Candidates. Centrum C-Law.org was created to restore balance in the debate about the future harmonization and development of company and commercial law in Europe, and to augment the audibility of Central and Eastern European, or New Member States' voices therein. The European Commission legislative procedures require wide consultancy before issuing directives and regulations. We would like to open a path into this discussion for Eastern and Central Europe, and to create a strong and influential organization with regional and European significance. To facilitate and institutionalise such an activity, I believe it would be advisable to set up an Expert Group within Centrum C-Law.org, to take part in the discussion and to jointly take positions on different policy issues in the European Union and beyond. One ad hoc expert group has already been created for the purpose of submitting to the European Commission the position on the proposal of the European Private Company. As for the future an expert group shall be established to act on permanent basis, although not necessarily with a constant members' composition. The purpose of the "Expert Group 10+" is to take positions, give recommendations and opinions on policy objectives, draft legislation etc. on both national, international and European levels, as far as these issues fall within the scope of interest and competences of C-Law. The Group shall encompass representatives of the new member states as well as associated, candidate, and applicant countries. The limitation to the aforementioned countries is to take account of C-Law's main focus and stress its distinct feature: that is the inclusion of all new member states of the EU. The name of the Expert Group shall be "Expert Group 10+". The chairman of the 10+ Group shall be the acting managing director of the C-Law Association, unless - for reason of the subject matter to be addressed -, the Group decides otherwise. The group may also appoint a secretary. 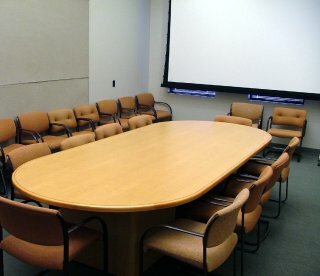 The issues on which the Group shall make position may be proposed by the chairman or any of C-Law.org members. The position shall be adopted only if representatives of at least 2/3 of the new Member States supported the position or agreed on a common opinion. Those (and only those) experts who backed the final version of the position will act and appear as the document's signatories. The right to decide on whom to ask for a consultation on a given document shall be vested with the chairman. Chairman shall decide taking into account competence, so-far involvement and activity within C-Law as well as the desirable degree of national diversification.